62 • March 2018 • S I G N & D I G I T A L G R A P H I C S WRAPS DIGITAL GRAPHICS Sign & Digital Graphics presents some of the industry's latest wrap projects. If you have a recent project that you would like to share, please send a sample of your wrap project to Matt Dixon at mdixon@nbm.com. 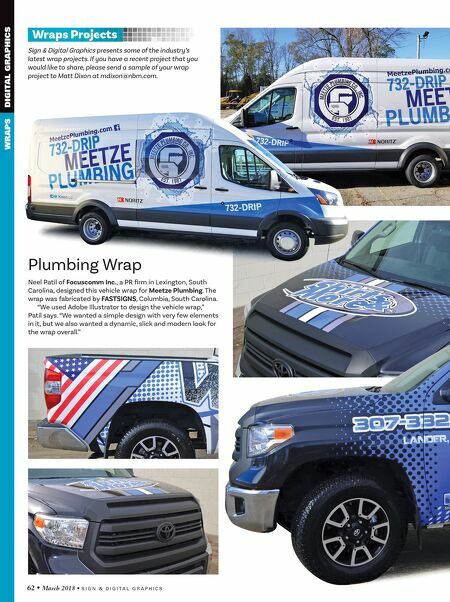 Wraps Projects Plumbing Wrap Neel Patil of Focuscomm Inc., a PR firm in Lexington, South Carolina, designed this vehicle wrap for Meetze Plumbing. The wrap was fabricated by FASTSIGNS, Columbia, South Carolina. 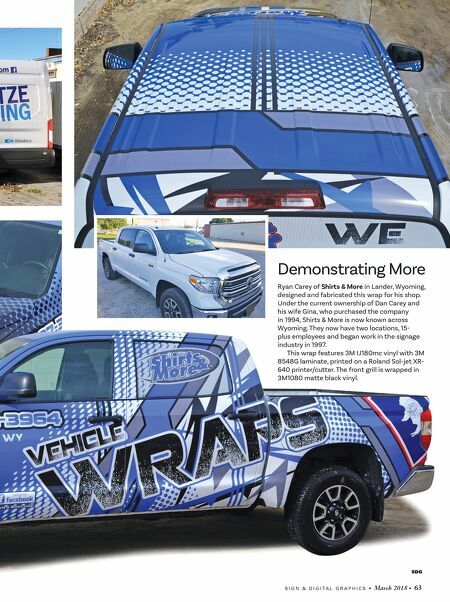 "We used Adobe Illustrator to design the vehicle wrap," Patil says. "We wanted a simple design with very few elements in it, but we also wanted a dynamic, slick and modern look for the wrap overall."